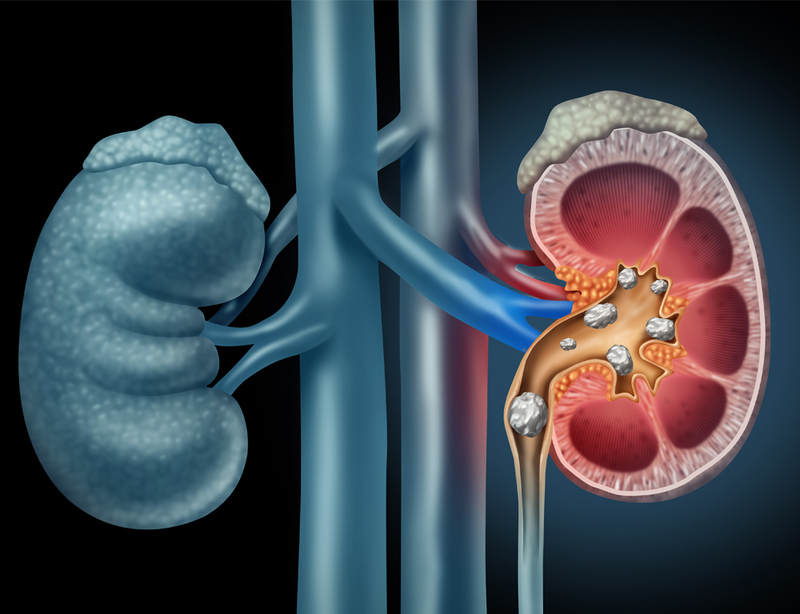 Historically, men have been producing kidney stones more often than women, but research shows that the gap is closing. Additionally, increasing health problems with age increase the risk of stones, while younger patients are more likely to have recurrent issues due to inborn issues associated with genetics and family history. Kidney stones are not routinely screened for, though they can show up on X-rays done for other purposes. In most cases, people don&apos;t even know they have one until they begin to pass it, developing acute pain in their back or side that drives them to a local clinic or emergency department. Knoedler said chronic or large kidney stones—or ones left untreated—can cause long-term kidney damage. The biggest problem, though, is the pain.